I recently came across this gem of a quote on Facebook; beautiful in its profundity, and breathtaking in its brevity. It captures the heart of what any Christian thinker has ever tried to say about the fitting human response to divine grace. The only way to respond to being given a gift is to say thank you. My curious (and a bit obsessive) mind, always on the look-out for frameworks, pondered what the opposite might be. That earning merit (and love) is the opposite of being given Grace (and love), and is therefore the ultimate expression of bad theology. And that entitlement is the opposite of gratitude, and is therefore the ultimate expression of bad ethics. Love is grateful. Fear is entitled. Love is surprised at what it has. Fear always needs more. Love can freely give as it has received. Fear always takes. Love can accept what it disagrees with. Fear tries to force it to change. Love can cope without recognition. Fear clamours for attention. Love is empathetic. Fear is narcissistic. Love sheds tears on behalf of others. Fear only sees its own pain. Love can fail and try again. Fear gives up. Love is life. Fear is death. Egotism is pathological self-obsession, a reaction to anxiety about whether one really does count. It is a form of acute self-consciousness and can be prevented and healed only by the experience of being adequately loved. It is, indeed, a desperate response to frustration of the need we all have to count for something and be held to be irreplaceable, without price. This photo (found on Facebook) reflects a false, either/or view of Christian spirituality. 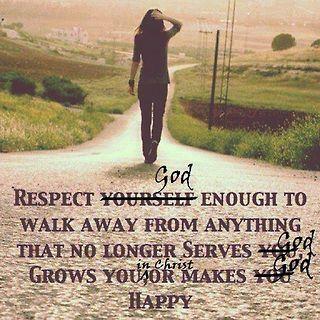 I suspect that the person making these ‘corrections’ to the original photo probably meant well, and I agree that a ‘humanism’ that defines itself as being over-and-against (or otherwise independent of) God is counter to Scripture and the Gospel. But I deny that loving yourself is in tension with loving God or others. Indeed, based on Christ’s epitomisation of the entire Law (i.e. Mark 12:29-31), I’m inclined to believe that Love of God, others and self are inseparable. Epistemology is the most foundational of topics in philosophy. How trustworthy is human knowledge? Or worded another way: How much ‘faith’ (Greek ‘pistis’ for ‘trust’) can we put in what we think we know? At one end of the spectrum, you have narrow, ‘verificationist’ epistemologies (such as: logical positivism & naive realism) that only trust knowledge that can be ‘verified’ by empirical methods. At the other, you have skeptical ‘post modern’ epistemologies (such as the phenomenalism of Maurice Merleau-Ponty – The Phenomenology of Perception) which hold that all we can truly ‘know’ is the ‘sense data’ of our perceptions.In his book, The New Testament and the People of God, N.T. Wright follows the thought of renowned Catholic philosopher Bernard Lonergan (particularly his Generalised Empirical Method) discussing a kind of middle-way between positivism and phenomenalism: ‘critical realism’. Elsewhere, he has described an ‘epistemology of love’, where love is that which a) respects the ‘otherness’ of the other, while at the same time b) remaining in rich subjective relationship to it. Critical realism is first critical in that it is aware of its potential for self-deception and the distortion of perception, but it is not so critical that it does not take the second post-critical step of then daring to describe the reality it believes it actually ‘knows’. I’ve been recently intrigued, however, by a talk on Epistemology by Mark Strom (audio here) where he claims that all human knowledge involves not only acts of love, but also faith and hope. I find this really compelling. Our knowledge of any activity, person, principle or thing involves faith, hope and love – in some form, and at some level. Scientific knowledge, for an interesting example, involves all three. The natural scientist must first have faith (Greek pistis, meaning ‘trust’) that his object of study, the natural world, will, under the exact same conditions, always behave exactly the same way in the present and future as we’ve observed it to in the past. She also hopes that the hunch followed will be fruitful, that the experiment designed will be sufficient, and that the knowledge gained will be helpful and worthwhile. And finally, there is also love – the relational dynamism between a subject and object; in the case of science, between the observer and the observed, the cosmologist and the cosmos, the neurologist and the neurons. Love of God, neighbour and self are all interwoven. I’ve been thinking lately about confession, which – like love – occurs in relationship. Protestants often are quick to give reasons why they don’t confess to a priest like Catholics. “Through Christ, we can confess [but do we!?] directly to God…” Fair enough. But one thing about confession to a priest is that at least they are confessing horizontally as well as vertically. I may be wrong, but I suspect that Protestants are not that great at horizontal confession. When we do it, we often only confess the really easy-to-confess stuff. “Oh, I just have to be honest with you… I’ve allowed myself to get too busy this week.” In the ModWest, being busy is a virtue, for crying out loud – that’s hardly confession… Rarely do we [OK… I!!] have a) the courage, and b) the quality of relationship to confess the darkest, deepest, hardest-to-confess stuff. Confession, like love, is meant to be so holistically real that it touches all of our person – our emotions (heart), our identity (soul), our thoughts (mind) and our actions (strength). May we be truly honest, real and vulnerable in our confession – vertically to God, horizontally to our close, trusted friends, and even internally to ourselves!! I picked up a copy of Gustavo Gutierrez‘s ‘A Theology of Liberation: History, Politics and Salvation‘ for a) my growing interest in the biblical theme of ‘Freedom’/’Liberation’, and b) the ‘Themes in a Missional Spirituality’ block-course I’ll be taking this semester at Carey Baptist College – with guest lecturer – and author and theologian – Charles Ringma (very exciting!). Modesty isn’t (on one hand) wearing body-hiding, beauty-suppressing clothing to prevent even the possibility of someone having any kind of attraction. Nor, of course, is modesty (on the other hand) wearing body-flaunting, beauty-distorting clothing to ensure every possibility of every kind of attraction. Modesty and being attractive are not at all at odds with each other. Proper attraction between two people happens through attractiveness of various kinds – i.e. an attractive personality and attractive attire. Being attractive in the truest sense is to act, speak, behave and dress in a way that fosters healthy mutuality and relationship with an other. Prudism is unattractive in the passive/negative sense, because it witholds the whole person from an other. Exhibitionism (used here to refer to the opposite of prudism) is also unattractive in the active/positive sense, because it forces too much of the person onto an other. Therefore, the problem with immodesty (whether the immodesty of prudism, or the immodesty of exhibitionism) is not that it is too attractive, but that it is not attractive enough. Author DalePosted on July 14, 2009 November 20, 2009 Categories bible, christianity, ethicsTags interpretation, jesus, Law, life, love5 Comments on who is my neighbour?